Given their traditional and elegant look, handloom saris should definitely be a part of your wedding trousseau. Handloom saris are in a league of their own. They are traditional, rich, decadent and yet extremely elegant. 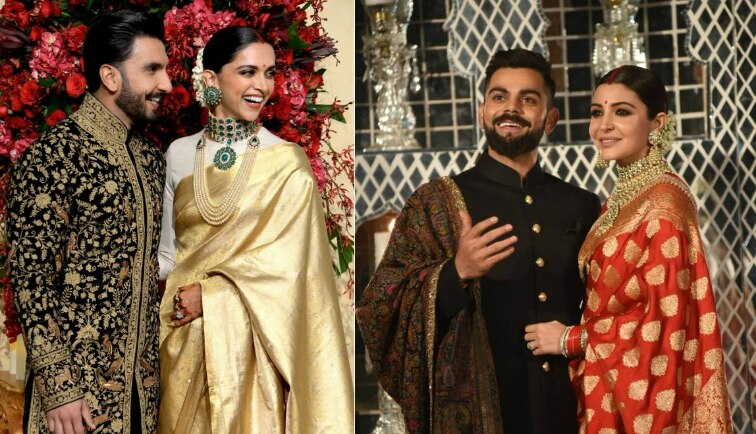 Handloom saris have always been an integral part of wedding festivities so it comes as no surprise that Anushka and Deepika also incorporated these rich traditional weaves in their wedding wardrobe. Both Anushka and Deepika were styled by Sabyasachi. 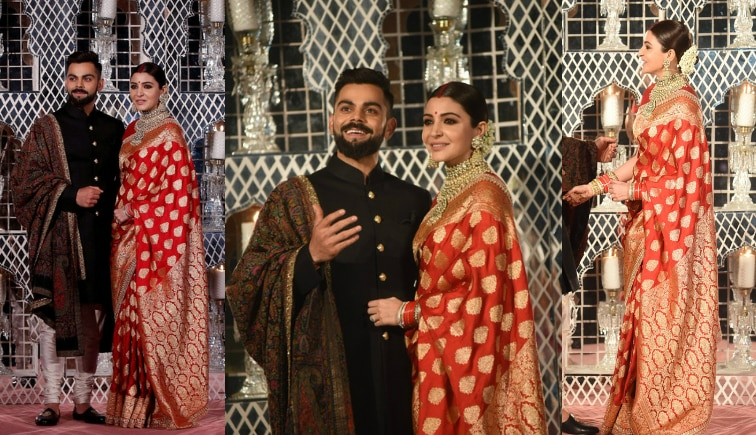 While Anushka chose a rich red benarasi silk saree, Deepika went with a gold kanjivaram one. Anushka's saree was complemented with uncut diamond jewellery while Deepika wore hers with emerald diamond choker and a pearl necklace. Both the brides completed their looks with a red bindi, sindoor, and mogras in their hair. Depending on your personal style, you can pair your handloom sari with heavy jewellery or keep the jewellery minimal and let the sari do all the talking.